Miniature, 8 inch replica version dragon skull. A version of the dragon skull film prop from the Japanese “Dragon Hunters” film. Made by the film’s FX designers and highly detailed. A great paperweight or desk ornament for all fantasy fans. 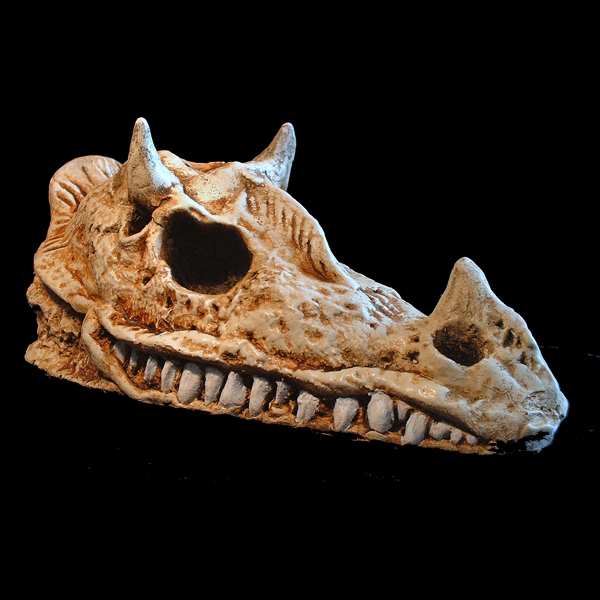 The dragon skull is made in tough Styrene resin and hand finished in weathered bone effect. A great gift for all fantasy and dragon fans.